Bodybuilding basics - what does bodybuilding mean? Bodybuilding doesn't just mean increasing your muscle size and definition - it's about body fitness, healthy eating and getting stronger too. Whether your goal is to compete on the bodybuilding stage or just get your body in shape getting the right advice from a qualified bodybuilding personal trainer is key when it comes to training right, training without injury and reaching all of your bodybuilding goals. As a personal trainer in Dubai who can provide bodybuilding training how would you sum up what bodybuilding is? For me bodybuilding is creating a better body for yourself by lifting weights and eating healthy. This doesn’t mean you need to stand on stage and compete, it’s more about getting stronger, building muscle, burning fat, feeling better or looking better. For someone new to bodybuilding or someone who wants to start are there any restrictions relating to age or gender? No! I have trained many different people in bodybuilding young and old, male and female all with different goals. The main thing when starting in a gym or starting a bodybuilding program is to make sure you are doing the exercises correctly. Does a bodybuilding workout regime include other elements of fitness or is it just for increasing muscle mass and definition? It depends on what you want from the workout. For me I like to make the workouts a little more intense to help build fitness as well as building muscle. Good nutrition is a key element to feeling and looking good and also plays a major part in a personal training program. How does a ‘bodybuilding’ diet differ from a general ‘good eating’ diet? Again this depends on what my Dubai personal training client is looking for. I love to work with macronutrients no matter what the client’s goals are. We work out the clients calories for each day and split them into carbs, fats and protein. This has worked beast for me in my time personal training and for my own training. Do you think there should be a lower age limit for those interested in bodybuilding? For example younger teens who are still growing. I don’t think so, the gym has so many benefits for young people as long as they are doing the right thing with proper technique and making sure they are warming up/cooling down. I would say for any youngster in the UAE who would like to get into bodybuilding to consult a professional before doing so because this is the best way to ensure they are training correctly which reduces the risk of injury. What are your 5 top tips for anyone who wants to start training as a bodybuilder in Dubai. Whatever your personal or group fitness goal in Dubai – UAE Nick has the knowledge and experience to provide you with a first class personal training service. 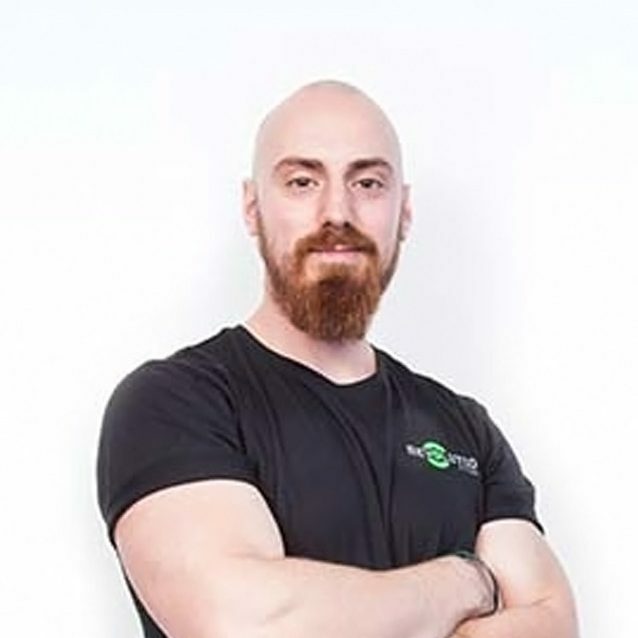 You can view Nick’s full UAE personal trainer profile by clicking the link below.